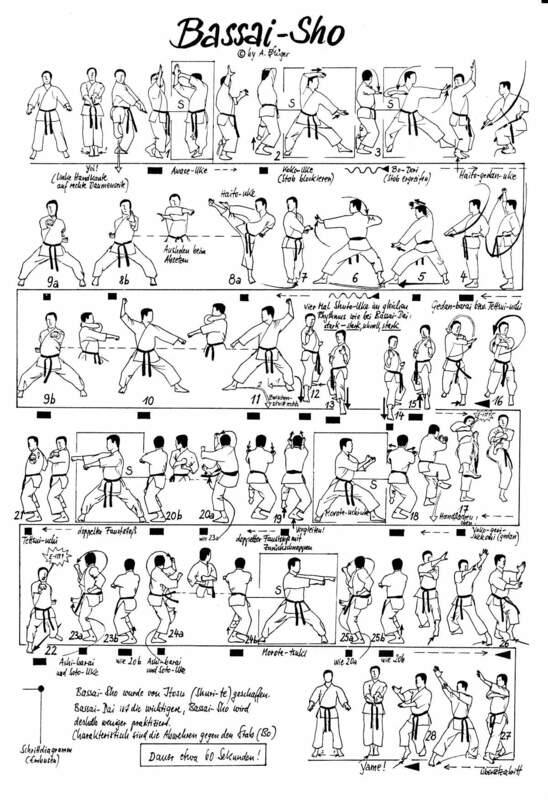 Karate is a Japanese martial art which teaches self-defense without the use of weapons by means of blocking, punching, kicking, and striking. 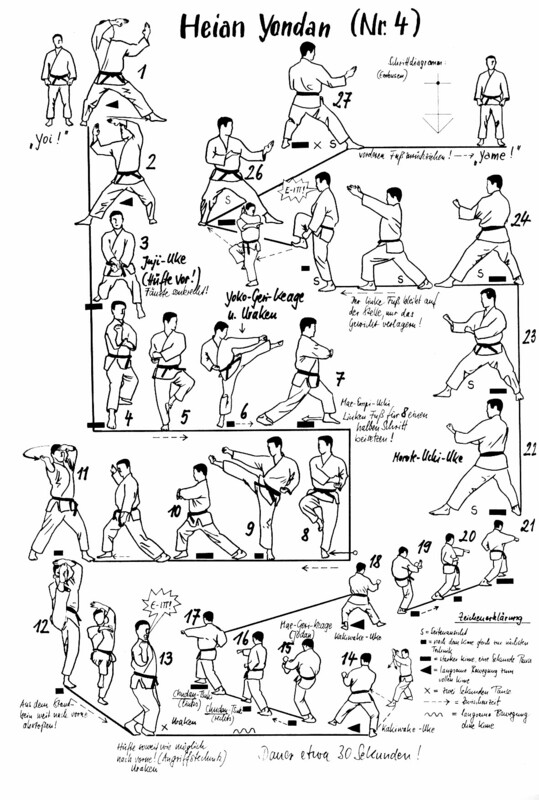 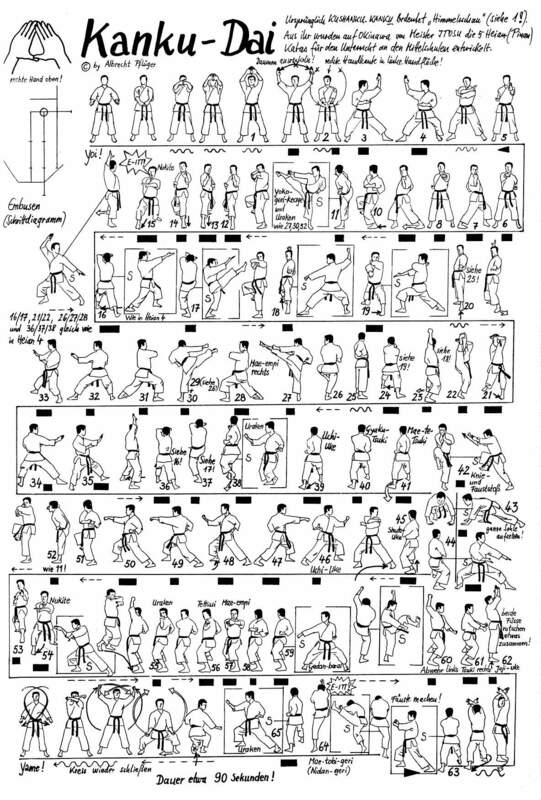 Karate's origins stem from the Chinese martial art known as Kenpo. 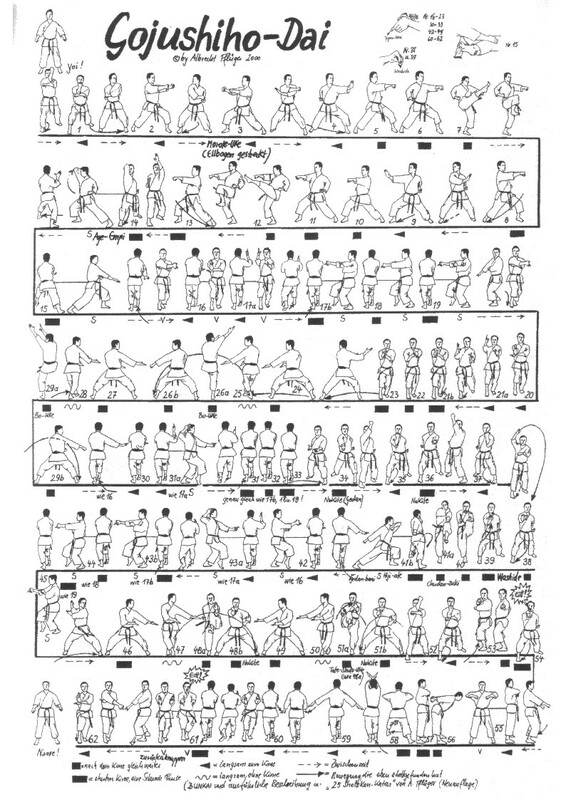 It was introduced to the Ryukyu islands (now known as Okinawa, Japan) by Chinese families who moved there for cultural exchange. 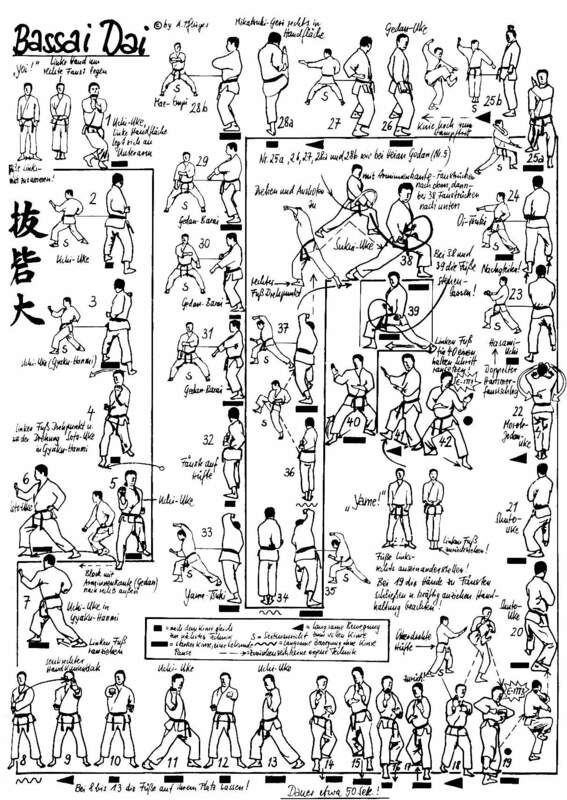 Originally just referred to as Te (hand), the art eventually came to be known as Kara-te (meaning Chinese Hand). 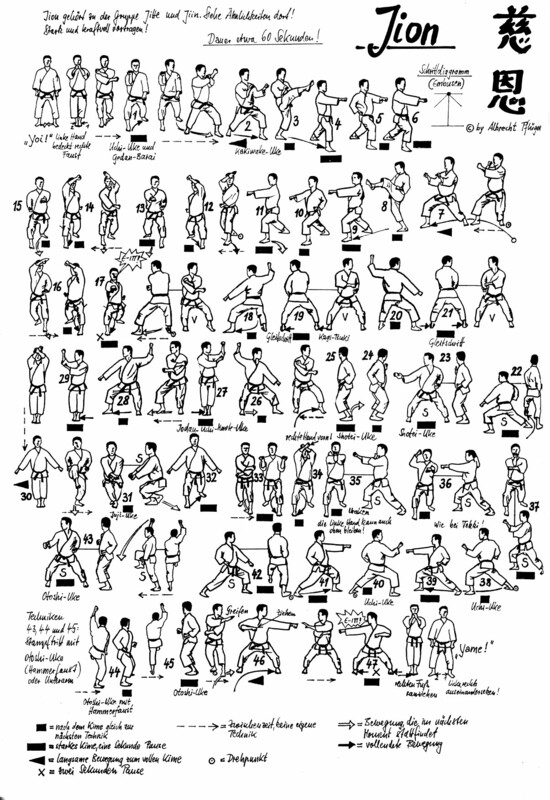 When Gichin Funakoshi (The Father of Modern Karate) moved from Okinawa to Japan to introduce the art to the main islands of Japan in 1922, he changed the first symbol of Karate, Kara, to a homophone meaning "empty". 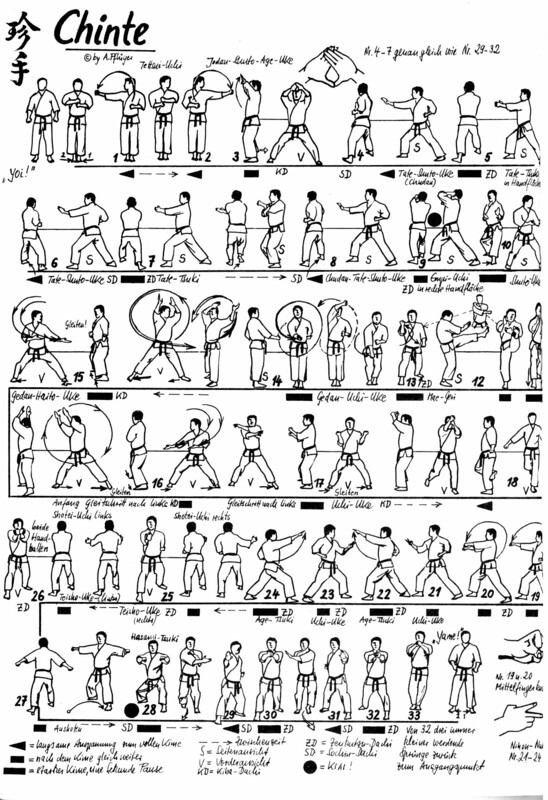 Thus the martial art known today as Karate-do, translates to "The Way of the Empty Hand". 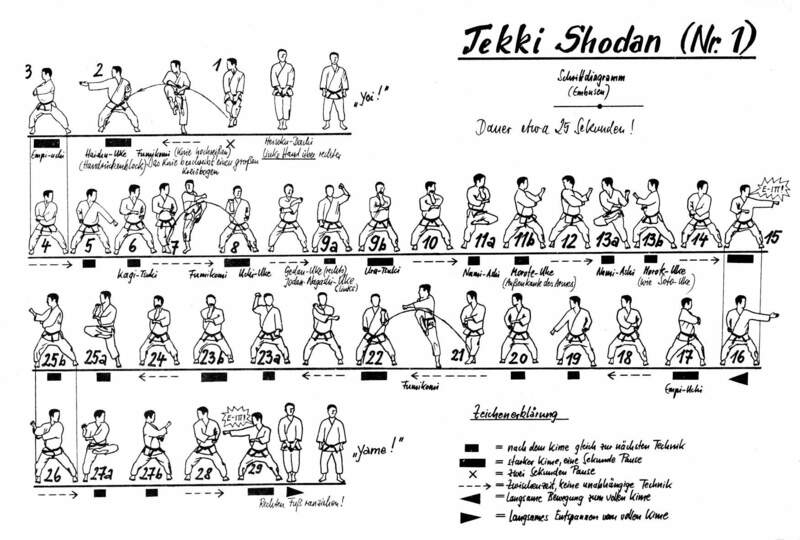 The Shotokan style of Karate gets its namesake from Master Gichin Funakoshi's dojo. 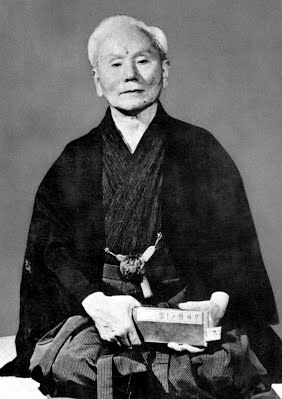 Master Funakoshi, an avid poet, wrote under the pen-name Shoto, which translates to "pine waves". 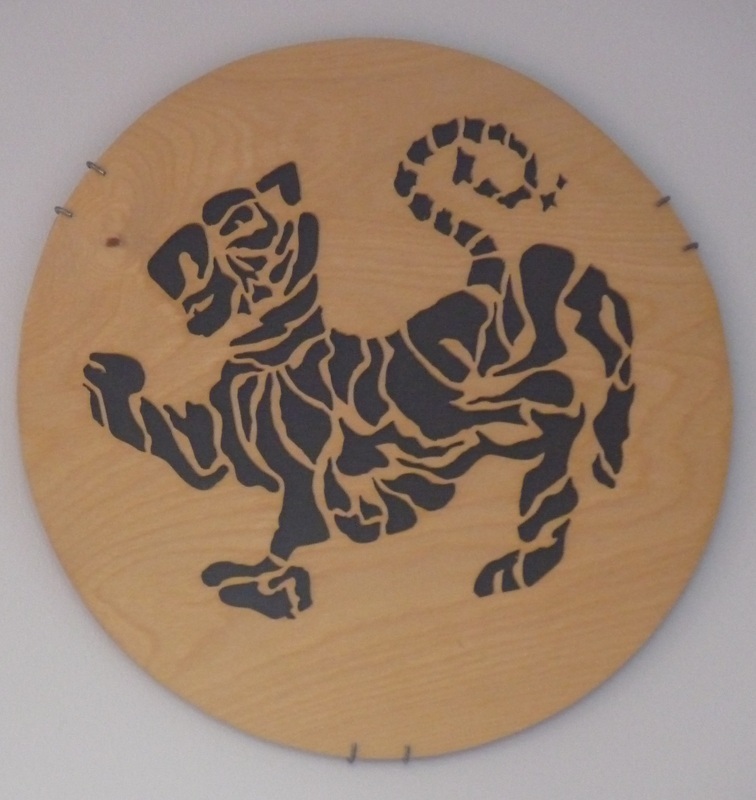 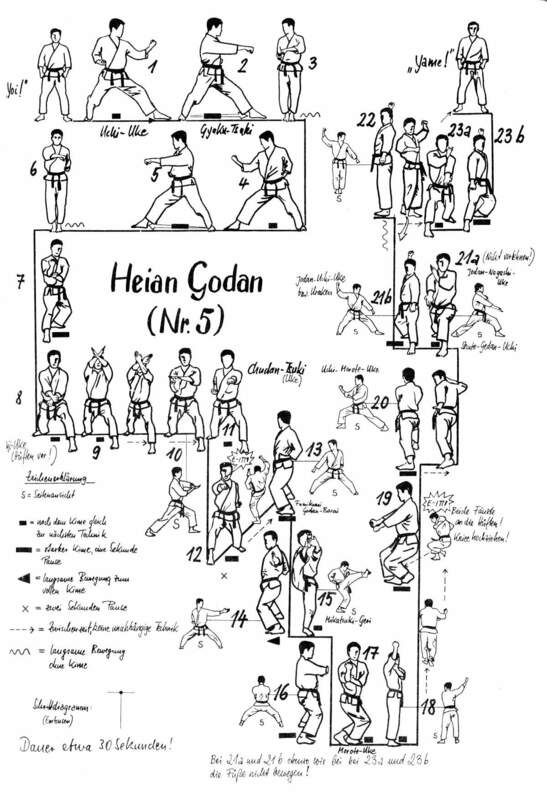 His students hung a sign atop of the entrance to his dojo that read Shoto-kan (kan meaning "hall"), and now Shotokan is synonymous with the style of Karate that Master Funakoshi taught. 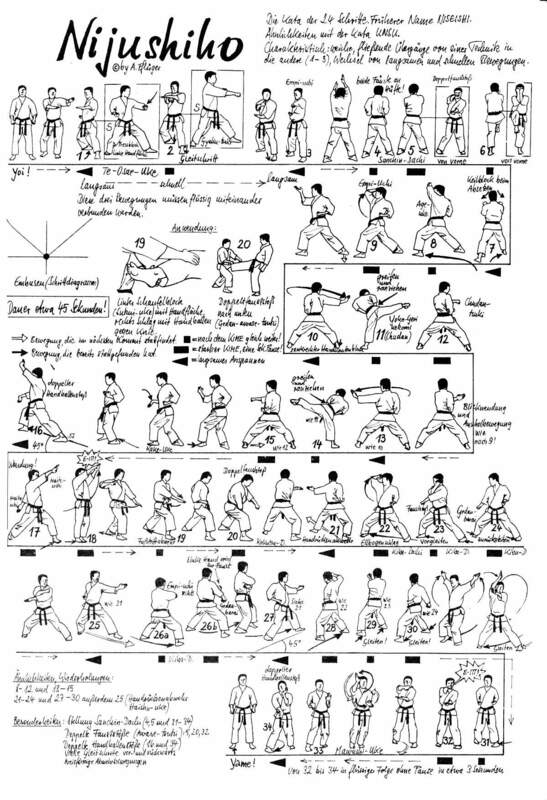 Today, Shotokan Karate is one of the most prominent styles of Karate practiced throughout the world. 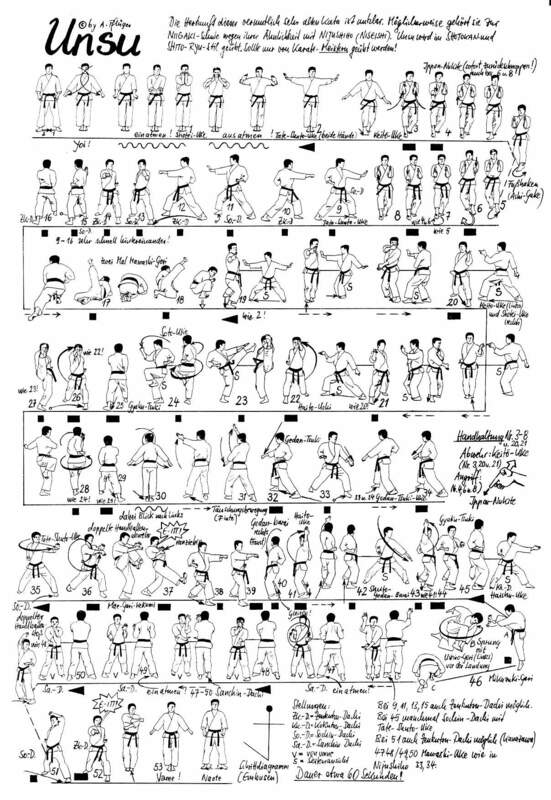 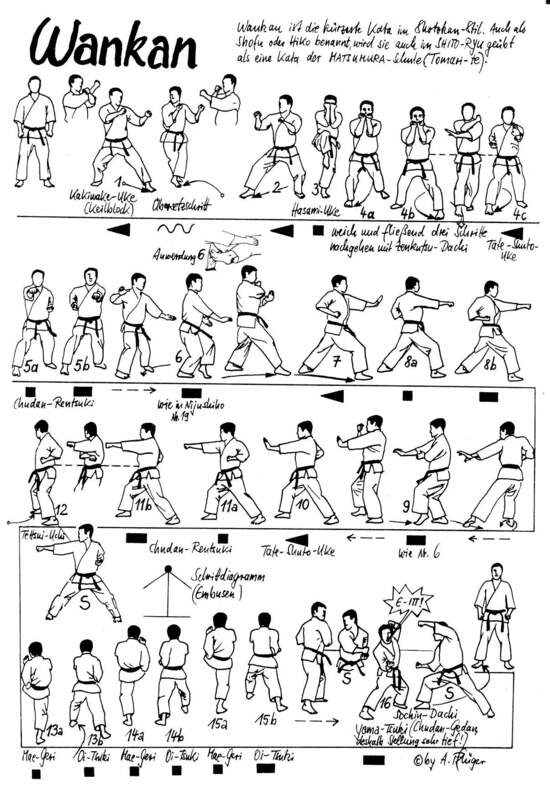 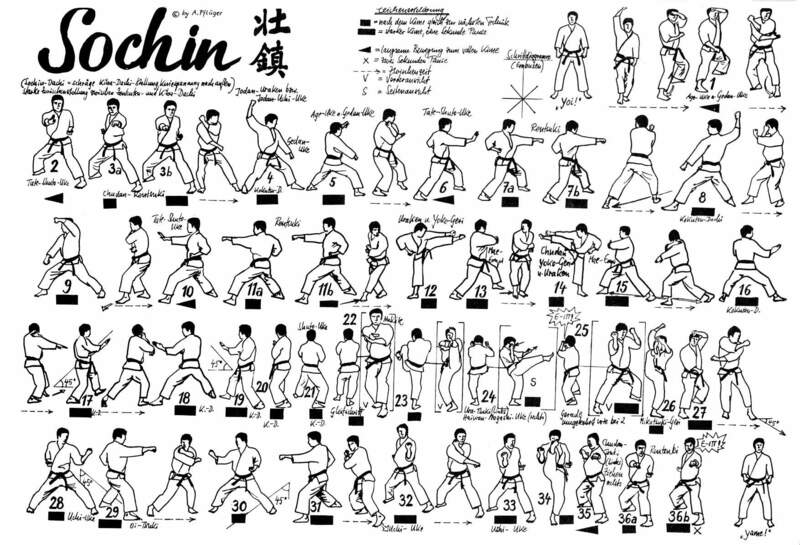 Shotokan Karate training can be broken up into 3 parts: Kihon (basics), Kata (patterns of movements), and Kumite (sparring). 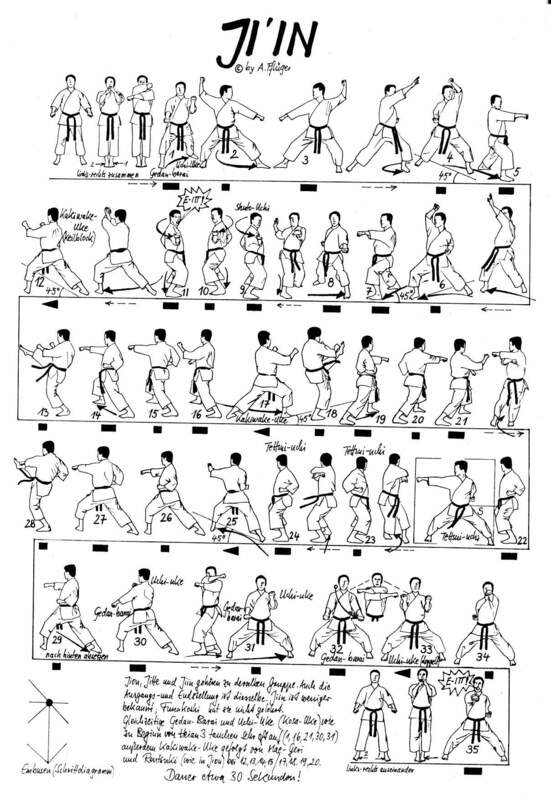 One of the easiest identifying characteristics of Shotokan Karate are the long, deep stances used in Kihon, Kata, and for beginners, Kumite. 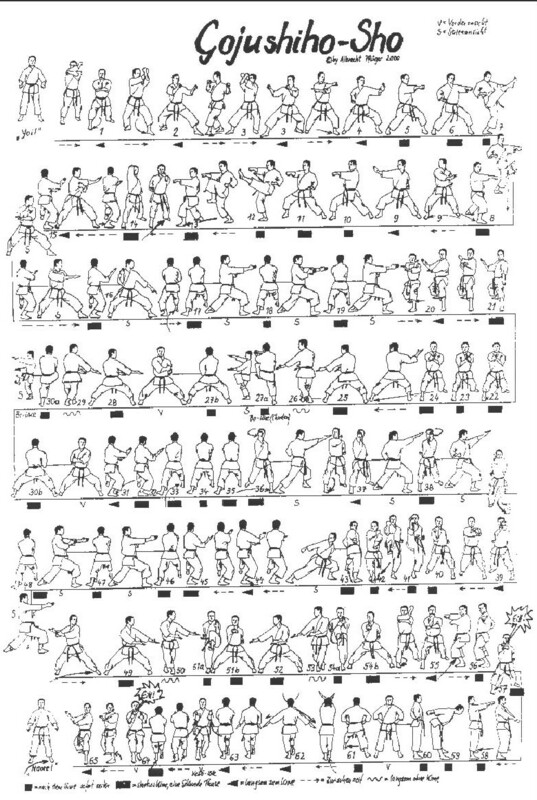 These long stances develop the muscles in the legs and assist in generating powerful techniques. 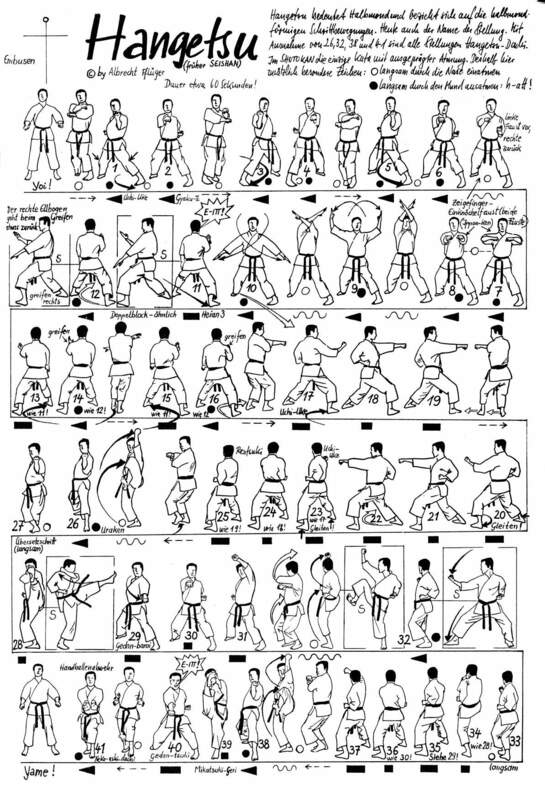 More advanced students practicing Jiyu-Kumite (free sparring) tend to be in a more natural, taller stance for mobility. 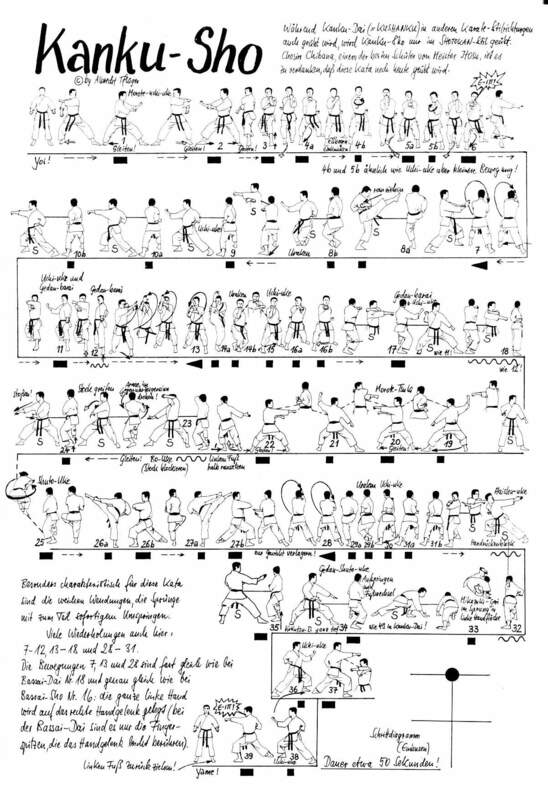 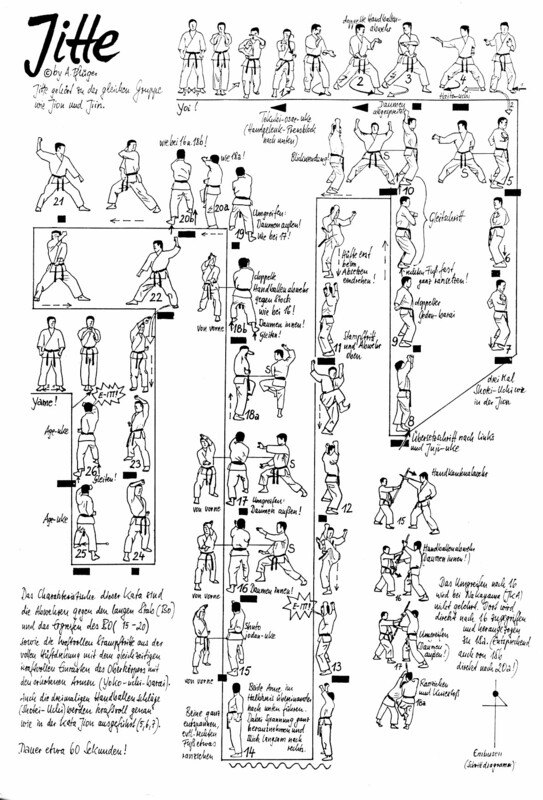 Another identifying trait of the Shotokan style is the greater distance between opponents when sparring compared to other martial arts, and even other styles of Karate. 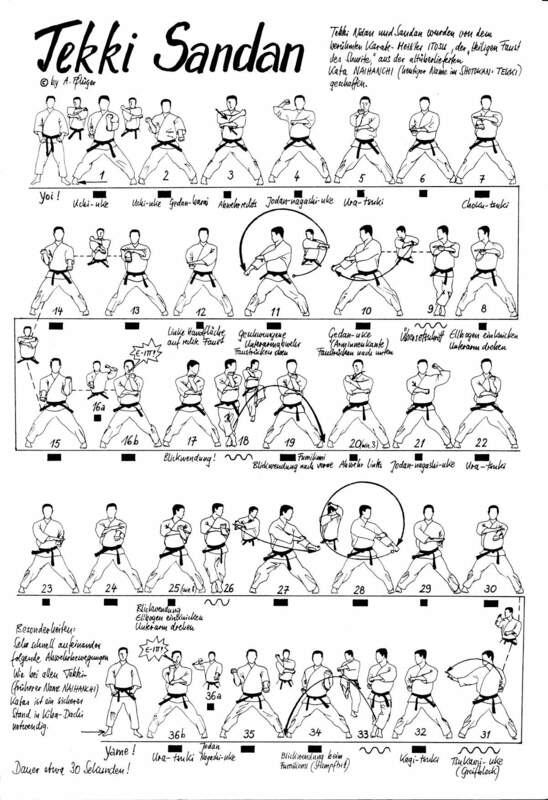 Shotokan Karate employs a Kyu/Dan ranking system consisting of 10 Kyu levels and 10 Dan levels. 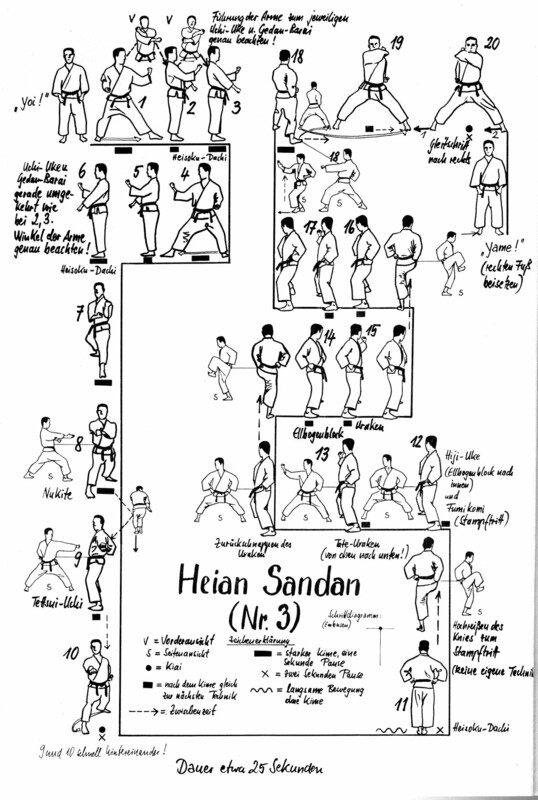 We use varying coloured belts to discern rank. 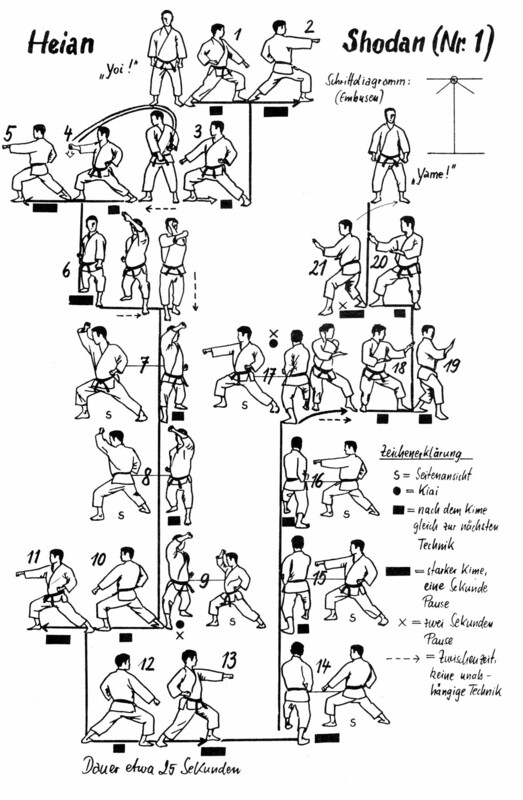 There is also the possibility of getting a "B" appended to your Kyu rank. 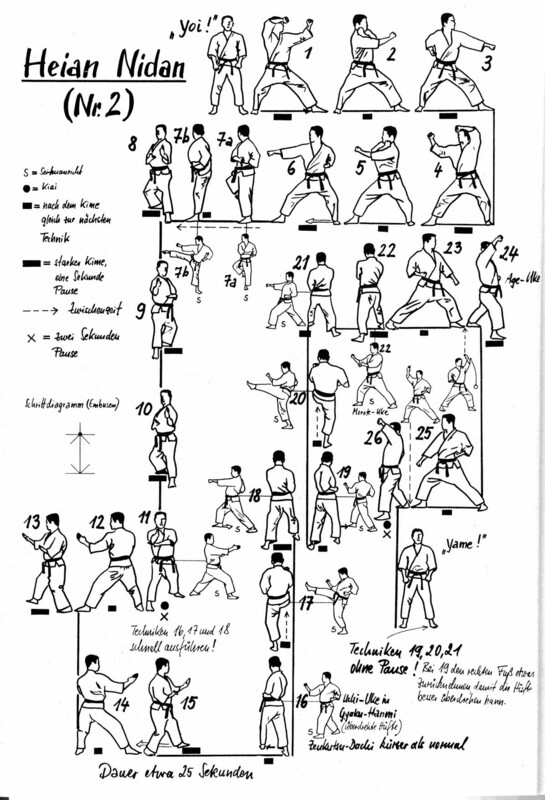 A "B" ranking denotes that extra time is required between tests (usually an additional 3 months of training). 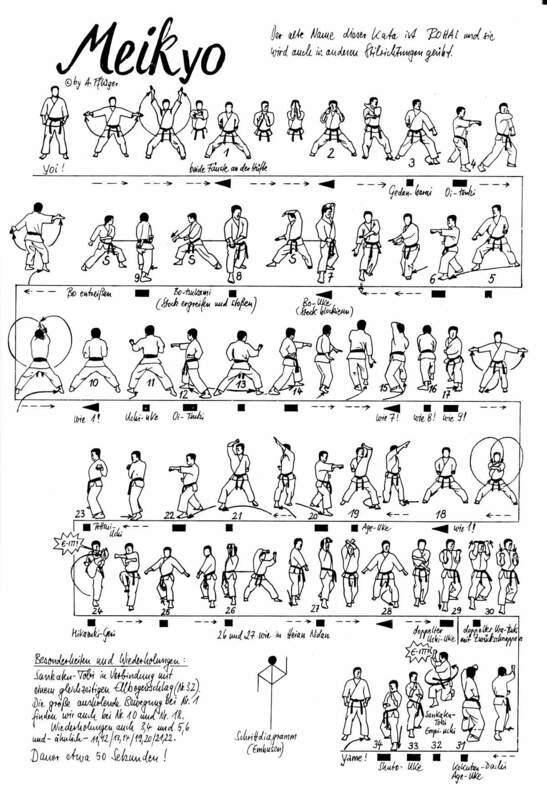 For example, a student who is a 7th Kyu (orange belt) may test for 6th Kyu (green belt) after three months of training. 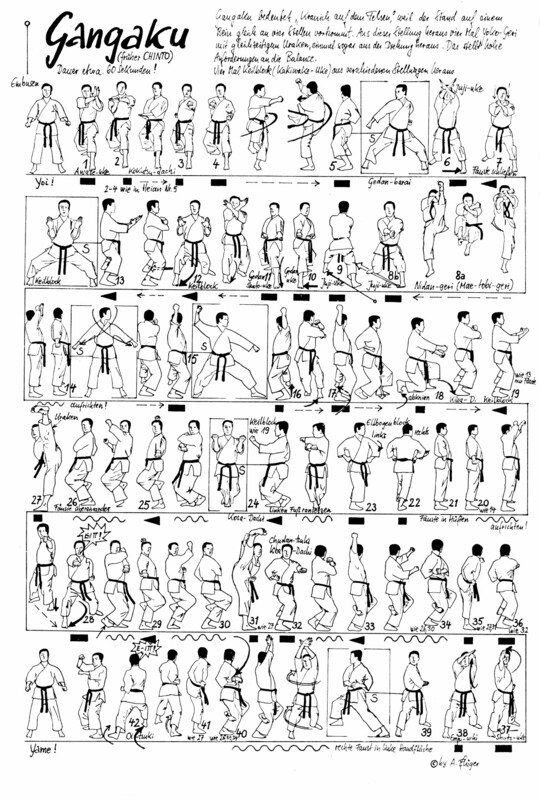 However, a student who is a 7B (still considered an orange belt) must train for 6 a minimum of months before being allowed to test for 6th Kyu. 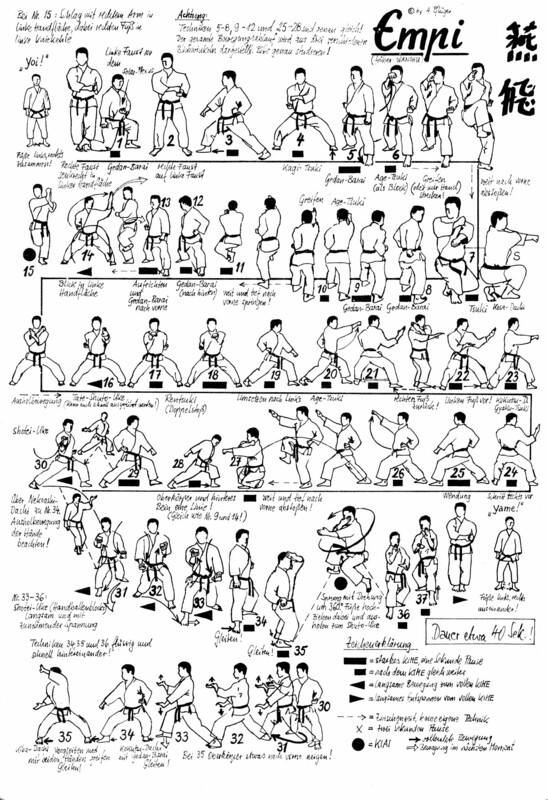 There is no B-rank in the Dan (black belt) ranks, only pass or fail. 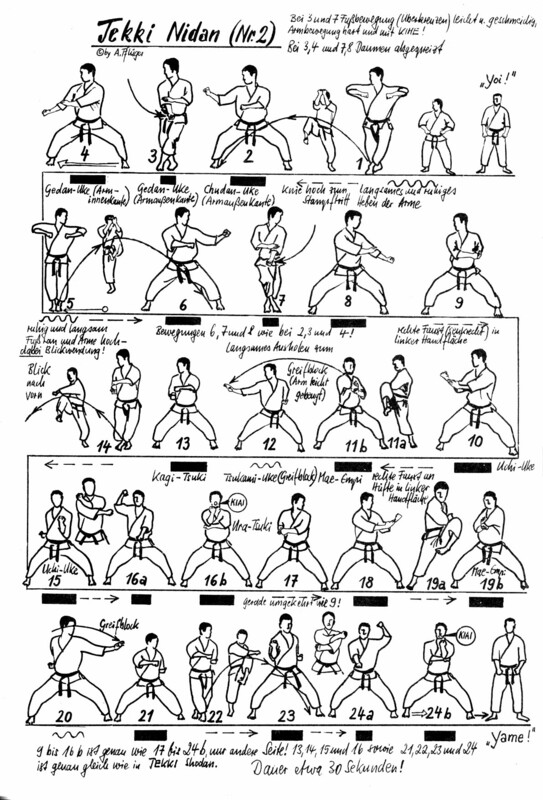 ​You can download the WTKO Grading Syllabus (PDF) here.